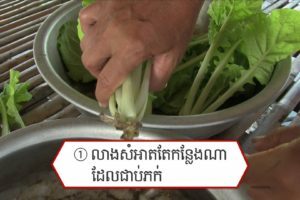 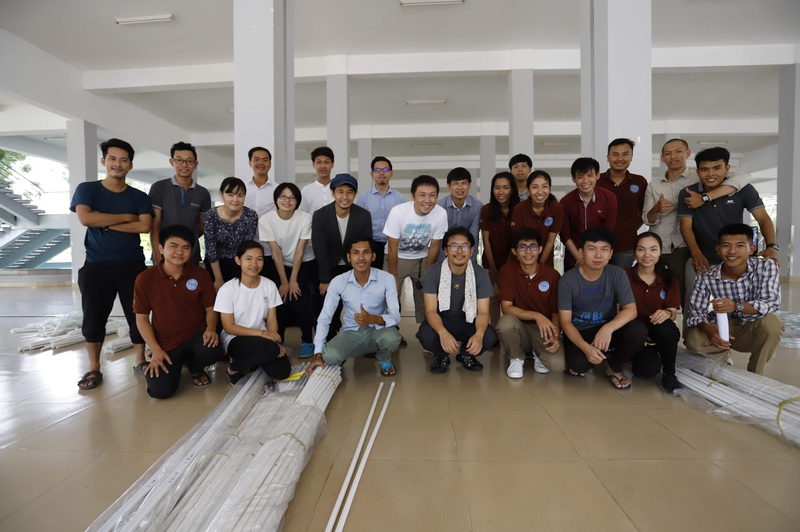 SocialCompass receives a grant from the Toyota Foundation and is proceeding with a project mapping project in Myanmar, Cambodia. 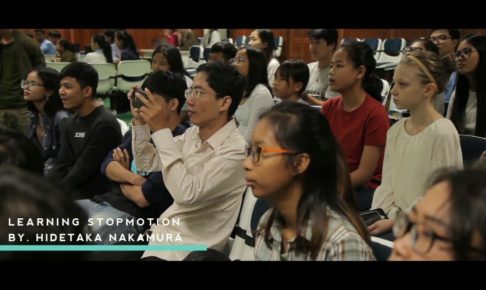 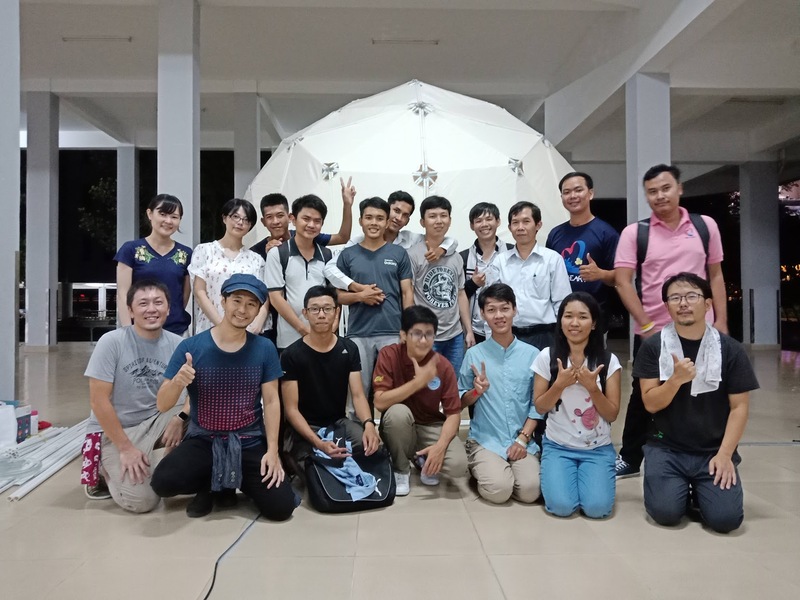 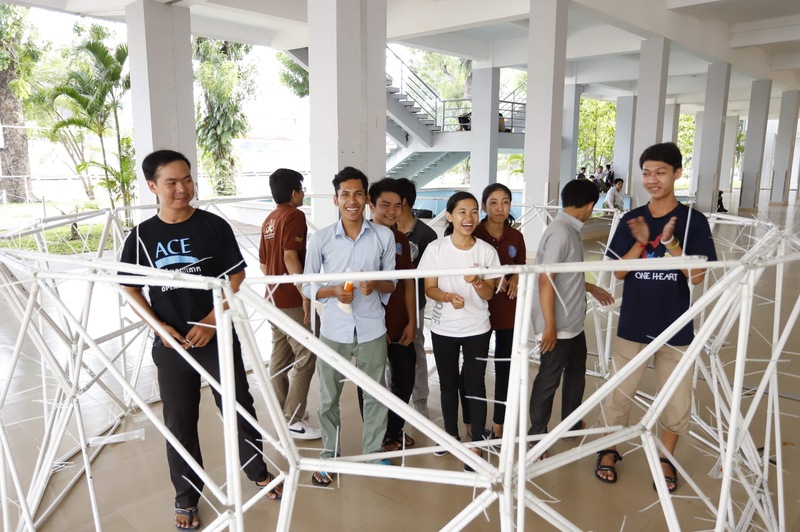 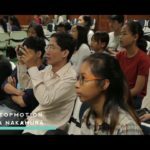 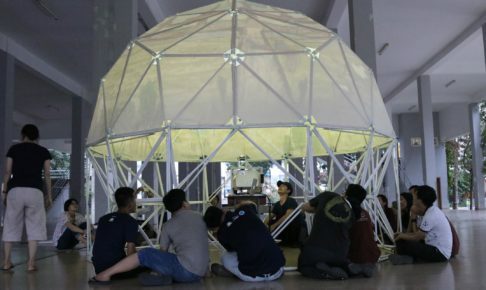 Following that, on September 7th (Friday) – 8th (Saturday) at the Cambodia Institute of Technology (ITC), we conducted a dome production workshop under the guidance of a polar architect Mr. YUSUKE MURAKAMI. 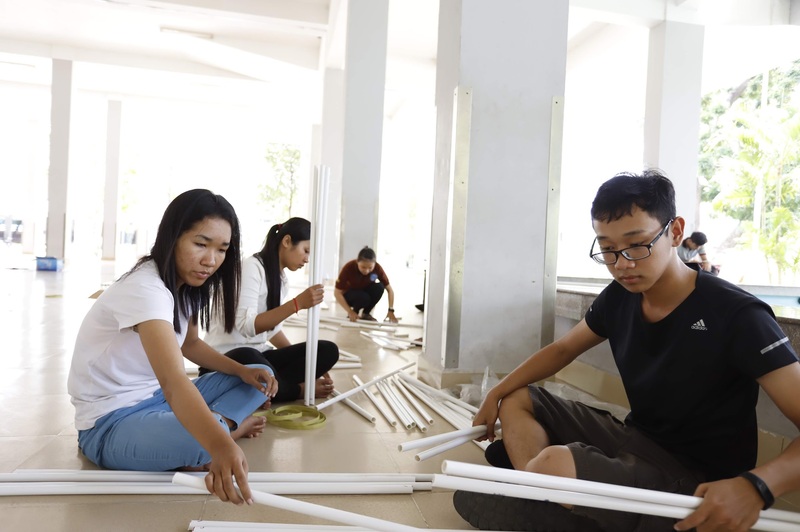 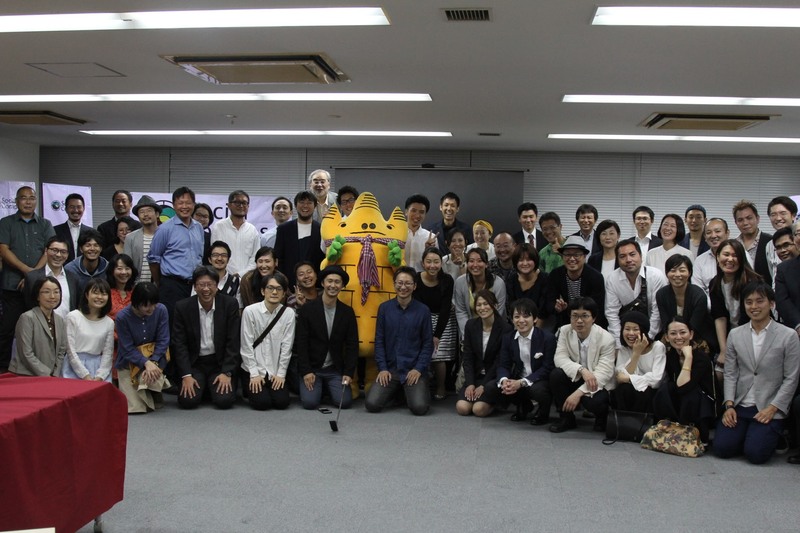 Twenty-five students from the Department of Architecture participated in the workshop. 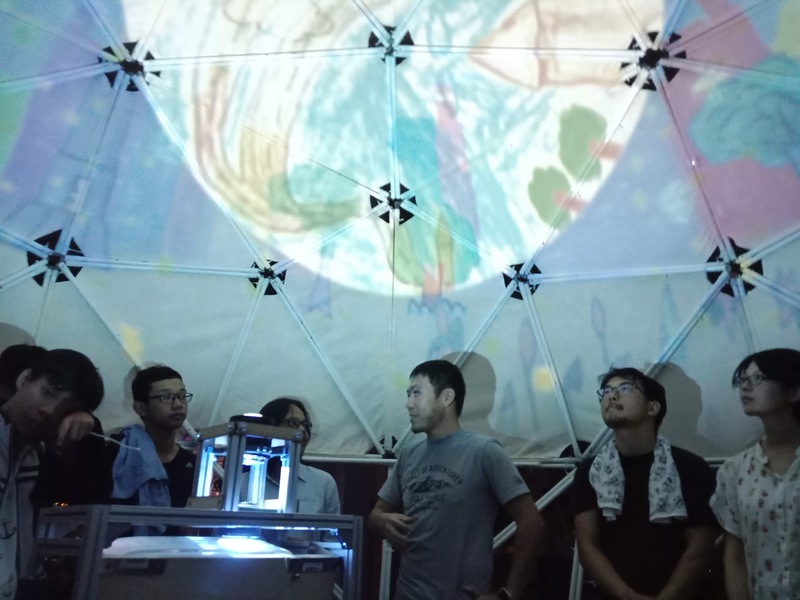 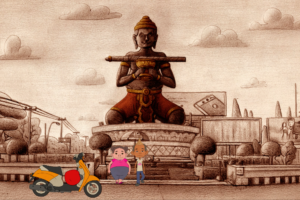 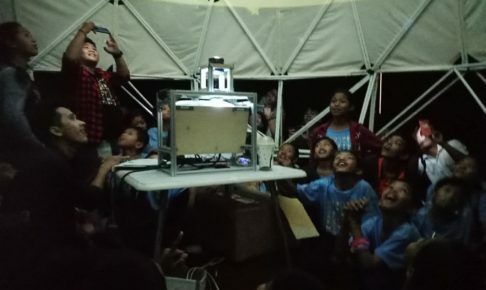 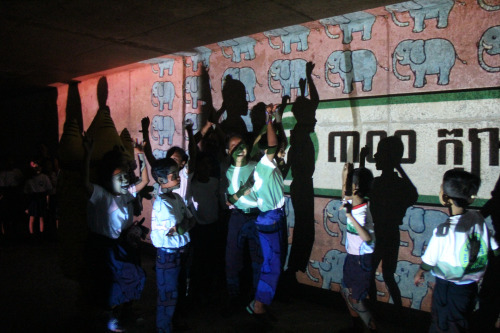 Illustration of a planet or alien which drawn by a child or student of Cambodia, Myanmar, Laos at the all-around projector specially created by a media artist, Mr. HIKARU HONGU who also went to the completed dome with EcoCityProject And animation were projected. 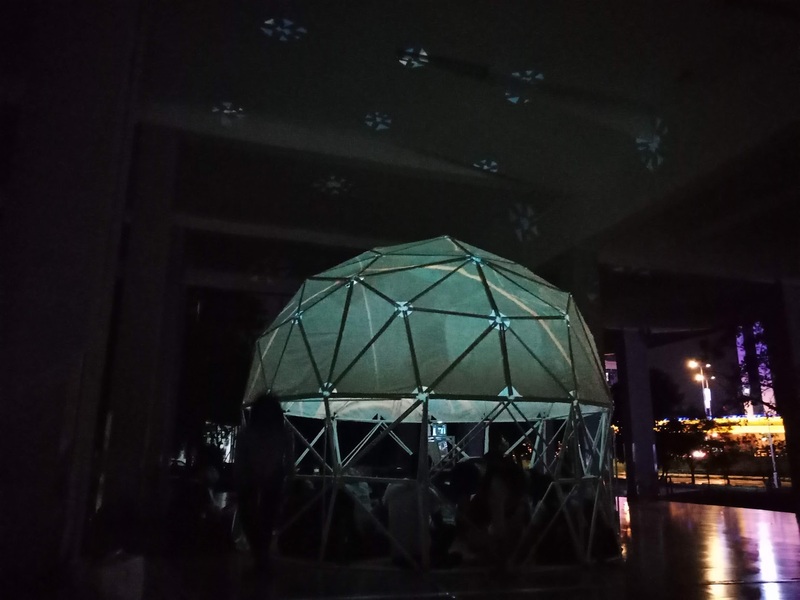 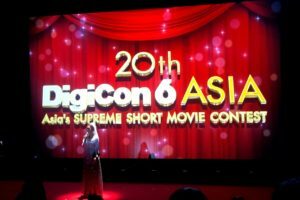 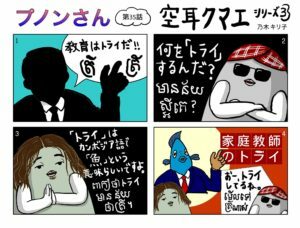 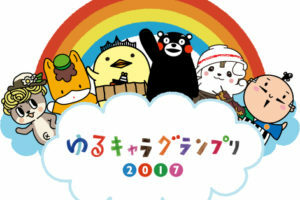 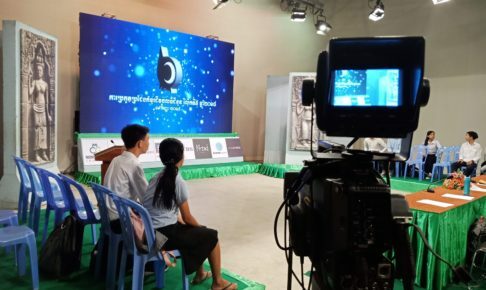 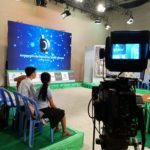 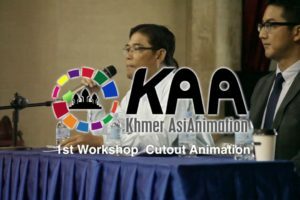 This time, we will invite two people from Cambodia to Mr. Murakami and Mr. Honmiya, this event will be the test of the projector which creates the dome and shows the planetarium animation. 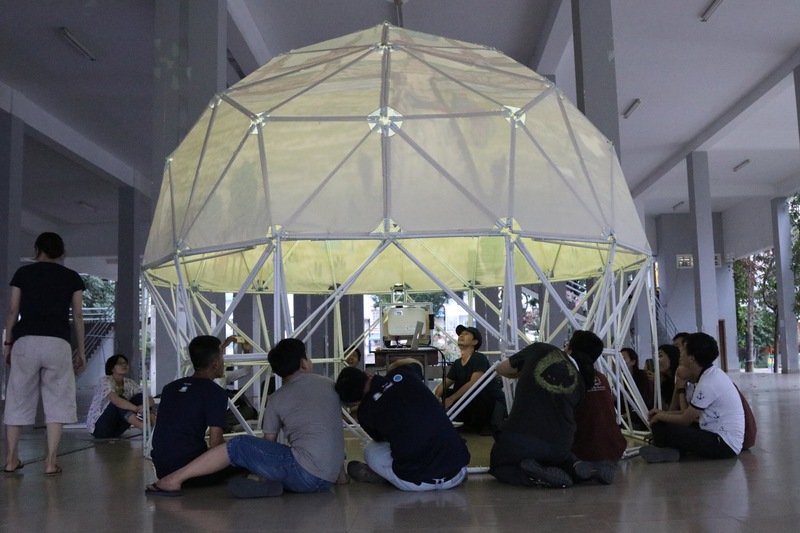 It will be exhibited at Asia Design Art Exhibition next week in Phnom Penh CJCC.